Trevor Lewis & Tigue Little. Lewis and Little started Sentian five years ago, and two years later the first version of the Sentian i3 was built. The full solution is a ‘brain’ for home security, and comprises hardware, embedded software, a cloud service and user app. It plugs into the power and home network, and can connect to existing alarm systems and off-the-shelf CCTV cameras. The way the system combats false alarms is by means of visual verification: when an alarm is triggered, a 12 second video clip (6 seconds before and 6 seconds after the trigger) showing the relevant area is sent to the app on the user’s smart device. When the device is connected directly to the home network, the clip is pushed directly to the device, but cloud capability means the user will receive it from anywhere in the world where they have Internet connectivity. Once notified of an alarm, the user can view the video to ascertain whether it is genuine, and if so can elevate it to their security company via the app’s panic button feature. The app allows for live-streaming from any camera connected to the home’s network, as well as the ability to search through archive footage by event. Sentian’s integration with CCTV cameras is achieved by accessing the RTSP stream and supports ONVIF capable cameras from all the major brands, as well as HD analogue cameras. 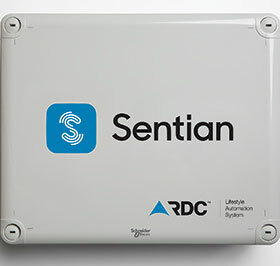 On the home automation side, the Sentian i3 hardware has baked-in support for the same RF technology ubiquitously used for gate and garage door controls, in addition to support for Z-Wave devices; support for Yale smart locks is currently in the works. To extend its market penetration, Sentian has entered into a distribution agreement with TPA Distributors and a technology partnership with Radio Data Communications (RDC). 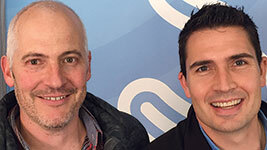 “Our solution is currently supported by installers in Cape Town and Johannesburg, and we are inviting alarm and CCTV installers to partner with us to roll it out across the rest of the country. Installers will find that our solution offers them financial benefits and up-selling opportunities, requires minimal installation time and training, and integrates with products they already know and love,” Little concludes.